Prevention of fleas and ticks is one of the most important responsibilities of a pet owner because they carry lots of serious diseases. If the problem is mild, it may just make your pet nauseous and lethargic. But, severe problems can cause lots of pain or even the death of your dog. Therefore, purchasing the best flea collar for dogs is extremely vital for the overall health and well-being of your dog. Myriad flea and tick preventatives are available on the market. So, the selection process can be a daunting task. Certain climatic conditions can also make your dog infested with fleas. Flea collars are very flexible and durable. These types of collars use some form of insecticide to repel or kill fleas or both. In order to kill or repel fleas, collars secrete insecticide onto the skin of your dog. Your pets natural oil helps to spread the insecticide throughout his body. Thus, it creates a protective layer. ​How to select the Best Flea Collar for dogs? A hypersensitivity reaction is one of the common problems caused by fleas. The signs of flea and tick infestations are scratching, chewing, licking, rubbing, biting, skin abrasions, etc. Besides various skin damages, fleas also carry and transmit lots of potentially serious diseases. If you want to protect your pet from these dangerous health problems, flea collar is the best option. Flea collars are extremely beneficial for protecting your dog from insects. However, the dog collars should be avoided if she is pregnant or nursing. Flea control collars should not be used in homes with little children. Children put their hands in their mouth frequently, which will lead to dangerous consequences. ​If you want to purchase a flea collar for your dog, ensure to buy a collar with the right size. 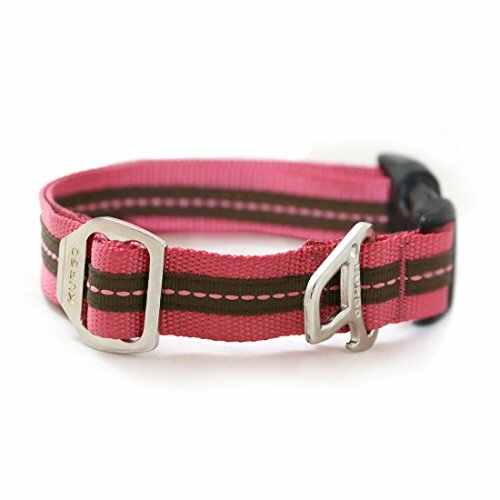 The flea collar should fit snugly to the neck of your dog, which is essential for ensuring a good contact. But, it should be loose enough to get one or two fingers underneath. Collars that made by using low-grade materials should be strictly avoided. High-quality construction is extremely important for getting the best result. If the collar will not stay on your dog, it will be useless. ​Before purchasing a flea collar, you should also check the ingredients in that collar. Ingredients such as TCVP (tetrachlorvinphos) should be strictly avoided because it is a neurotoxin and it attacks the nervous system of fleas. You should handle all insecticides very carefully. So, TCVP is not good for both humans and animals. Some ingredients in flea collar are safe for your pets and humans, but some contain toxic or harmful ingredients. Such collars cause serious side effects or allergies. ​You should also check the protection period offered by a flea collar. Some of them offer around 8 months of protection from fleas and ticks. But, some last for around 4 months or less. You can purchase a collar that offers protection for a longer duration. But remember, these are the suggestions for obvious reasons. But, you are the ultimate decision-making person, so you can decide the best. Adams Plus is extremely effective for protecting your pets from gnawing fleas and ticks quickly. Adams Plus is highly affordable and it is available in two sizes. You can purchase it for your small and large dogs. It provides you 7 months of protection against fleas and ticks. Adams Plus contains very active ingredients, which is highly effective for spreading the surface of your dog. By moving from hair to hair, the ingredients spread the entire body of your pet. It is extremely effective for killing fleas, flea larvae, flea eggs, and ticks quickly. Your pet will also get protection from hard-to-kill ticks. Adams Plus is very effective even during wet conditions because it has water resisting capacity. 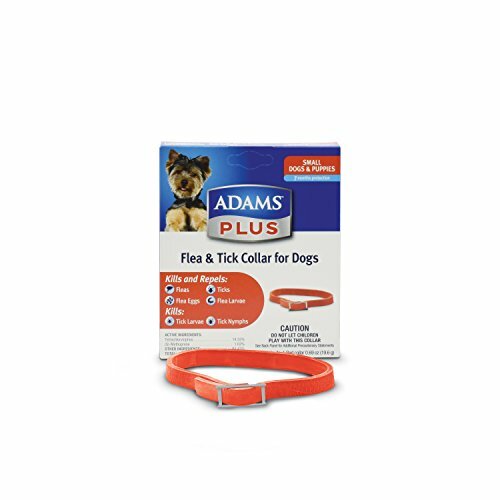 You can try Adams Plus if you want to get reliable and complete protection against ticks and fleas. 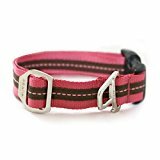 In Kurgo Wander Dog Collar, the stylish simplicity is combined with strength and durability. When your pet dog wears this collar every day, it conveys a sense of style. At the same time, it is extremely reliable and comfortable. 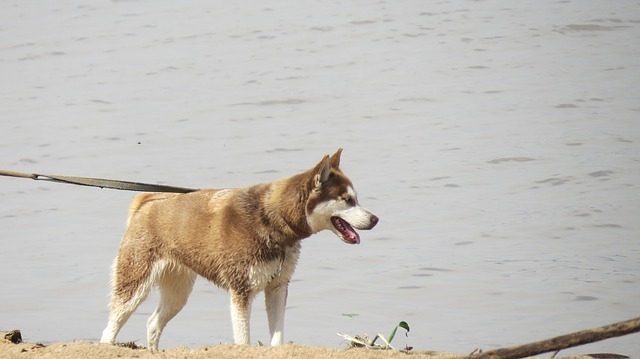 The Kurgo Wander Dog Collar is double-lined and fully adjustable. It is adorned with a Kurgo stamped steel slide, leash ring, and stamped steel dog-tag. Reflective ribbon and strong nylon webbing are used for manufacturing this collar. The grosgrain ribbon decoration makes it more attractive. It comes with an ID tag holder or bottle opener and stamped steel slides. You can also wash the machine very easily. The product is protected completely from manufacturing defects. 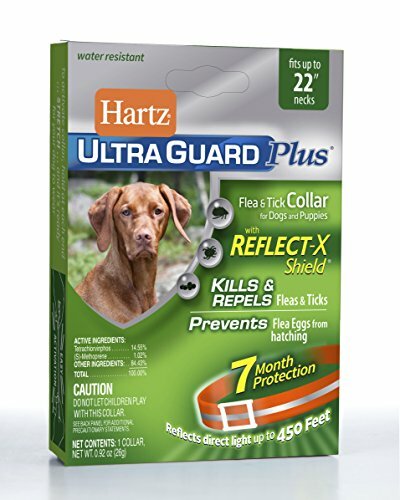 Hartz Ultraguard Plus is highly effective for killing fleas and ticks for continuous 7 months. By preventing flea eggs from hatching, this collar provides the best defend against re-infestation. A Reflex-X-shield is one of the major features of this collar. It reflects the direct light, so it offers extra nighttime security. The Hartz Ultraguard Plus is water resistant. Therefore, it stays intact even when your pet spends time outside. It has a break-away design, which is helpful for releasing any signs of constriction. So, you can reduce the risk of injury. You can fight against fleas and provide better protection to your pets by using a number of tools. However, a flea collar will be the best weapon because they are very convenient and extremely effective. The best flea collars for dogs are also very strong. They can be the best supplement for your existing anti-flea regimen. Using a flea collar is very easy compared to sprays and drops. This is also an affordable and most hygienic way of preventing fleas.